All new Tokkyuger info will be going here. Please take the following with a grain of salt! Ressha Sentai Tokkyuger, Premiering on February 16th 2014! To protect the route of light, the "Rainbow Line" from the "Shadow" of evil, the 38th Super Sentai starts to run! 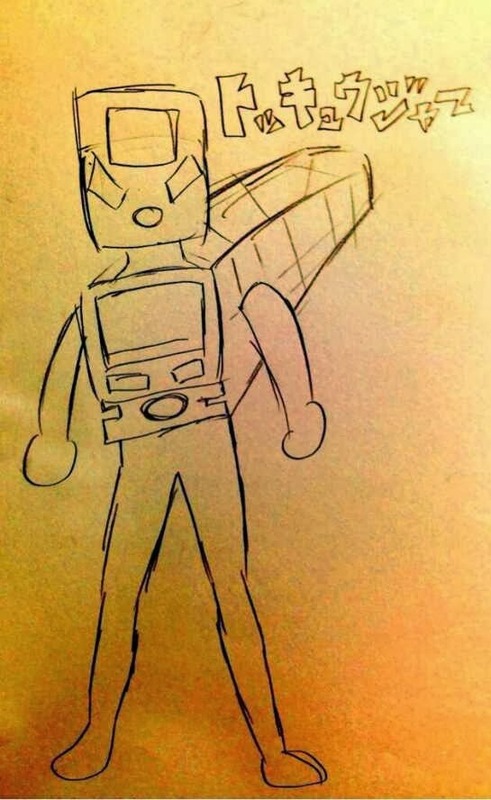 TokkyuChanger- The Tokkyuger's henshin device (brace). Each ranger transforms by loading a different TokkyuReshaar into the Changer. 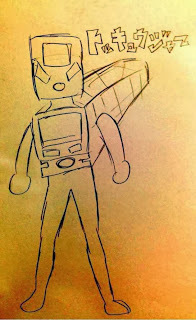 TokkyuOh- armed with the "FumikiriKen"
What appears to be a badly drawn mockup of TokkyuIchigo's helmet. 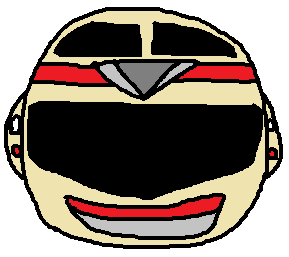 A mockup of what the Tokkyuger suit looks like. -"Railway Photographs" are the motif. The Henshin Phrase is "Get the Track!"